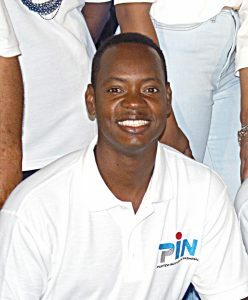 WILLEMSTAD - Member of Parliament for PIN, Rennox Calmes wants to bring changes to the punishment for sexual abuse in the Criminal Code of Curaçao that dates from October 10, 2010. Calmes indicated this in a recent press release. The reason for this press release is due to the lower punishment received the pastor of the Rains of Blessing Church, Orlando Balentina as result of the 2011 amendment of the lawe. The Prosecution demanded 18 years and Balentina only received 9 years for sexually abusing multiple women. The Member of Parliament has, together with his fellow party members, indicated that several of the punishments that were demanded for this type of crime after October 10, 2010, have been significantly reduced compared to the period before. The Criminal Code of the Netherlands Antilles ranged from 12 to 24 years, while the Criminal Code of Curaçao ranges from 4 to 10 years for this type of crime. Calmes is now proposing a legislative amendment to the Standing Committee on Justice.